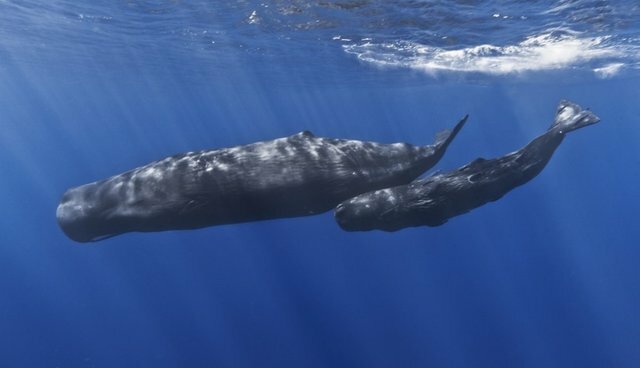 A sperm whale and her calf frolic and nuzzle in this spectacular footage shot off the Azores Islands, west of Portugal. The largest toothed whale alive, sperm whales tend to live in groups of females and young males, cooperating to raise their young. This mother whale will care for her calf for more than a decade -- a long time compared to others in the animal kingdom.